UPDATE, FRIDAY, JULY 25, 1 P.M.: The work has been postponed until further notice. 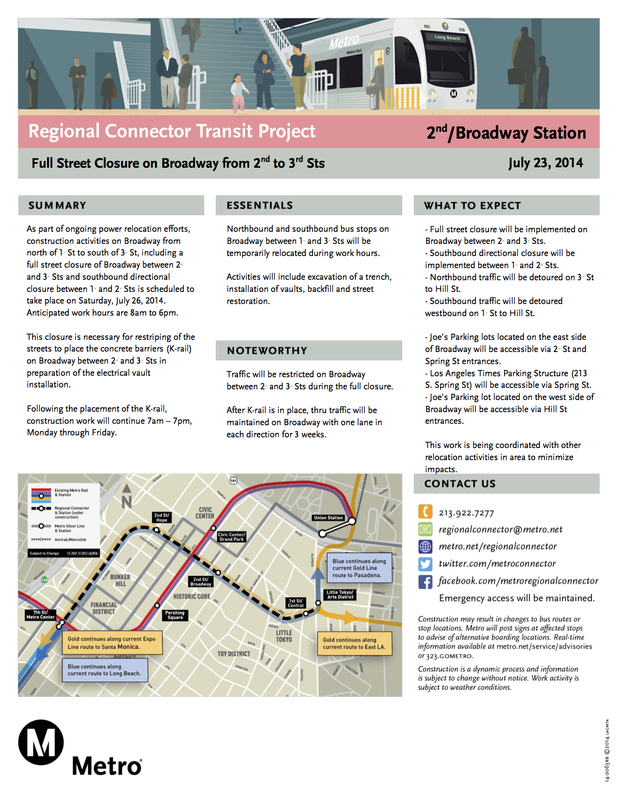 Any map of the Regional Connector project shows just how needed that tabled Financial District stop will be. Hopefully it can be infilled sooner rather than later.